A guirlande (or garland) is a decorative hanging ornament, usually in the form of a flower wreath. This ornament was often used during the Renaissance and later during the Neoclassicism and Edwardian eras. 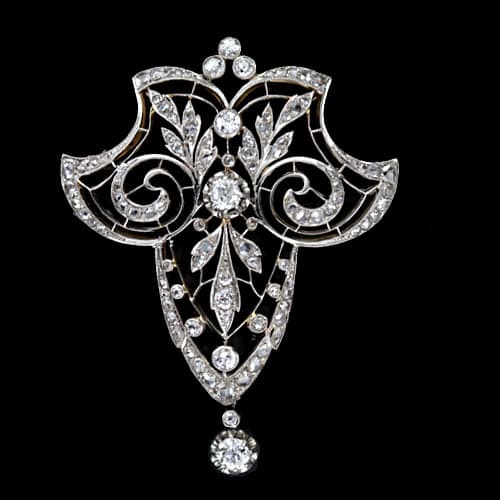 Edwardian Diamond Brooch Finely Crafted in the Delicate and Graceful Floral Garland and Openwork Design so Popular for the Era.